Uttered by Laurence Fishburne who is embodying Perry White, this line is almost too easy to point and snicker at, as if it weren’t the dangling branch from a legitimate tree full of questions. Throughout the over 2 and a 1/2 hour runtime of this movie, the question I came back to over various character movements and plot points was why? It feels as if Zack Snyder and his team never asked this either, but instead opted for “how” and “can we?” much more often. Batman vs Superman: Dawn of Justice is a film that attempts make the business of superheroes a door to the film, but not the entire house. We can applaud that on some levels. I’ve often stated that the Avengers films are just collections of action trailers connected throw away plots. Snyder and his writers have probably heard this criticism and attempted to go the other way, trying to make heart, identity and purpose the special effect instead gratuitous eye blasts for much of the film. The problem is, if you’re going to make your version of Christopher Nolan’s The Dark Knight where you have disguised a character study as a comic book hero film, then your characters better be damn interesting. The film opens with possibly the most familiar scene in all comic book movies, Thomas and Martha Wayne getting merked. I apologize if I’ve spoiled 20+ years of Batman movies for you. The funeral leads to another familiar scene where a young Bruce that doesn’t want to deal with the tragedy finds himself in a cave with half of the world’s bat population staring back at him. By the time the bats are swirling around him and he (in a dream sequence) is floating upwards, I was instantly reminded that I was watching a Zack Snyder film and that the Christ allegory still was still in full swing in his follow up to Man of Steel. Many rumblings were made throughout the very long and public production cycle of Dawn of Justice, but nothing drew as much attention as the cast became younger and younger, but then pulled in Ben Affleck for its Batman. I got in on the jokes too, but I knew that Ben Affleck would most likely be a pretty good Batman, even if he wasn’t my choice. So, cheers, Ben Affleck is the best part of this film. He’s not Michael Keaton’s Batman and he’s not Christian Bale’s Bruce Wayne, but he is still, really good as long as the script and direction aren’t sabotaging him. Which does happen frequently enough where Affleck may never get the credit he deserves. I would love to give Snyder credit for some of the more surreal moments of the film in attempt to bring a little artistry to a film that’s destination is for people to punch each other in the face for the last 30 minutes. They rarely work however as they are so overtly subjective to the characters with little nuance, played off by the fact that they are immediately followed by the hero jolting themselves awake. By the third time, you start wishing that Snyder would stop trying to prove that Watchmen was better than the critics say and just give us a straightforward movie as these scenes add little value outside of Easter Eggs. Another issue is the other protagonist of the film, Cavill’s Superman. I had a lot of problems with Man of Steel. A LOT of them. But one thing I didn’t put in the minus column was Henry Cavill himself. I think he looks like Superman, he feels like Superman and in Man of Steel, he didn’t do anything that detracted from the character to me. While Michael Shannon was great as Zod in MoS, most of their true interactions were in fight sequences with not much time for Daredevil like dialogues over ideology. The problem for Cavill in Dawn of Justice is that he has to compete with Affleck for an entire film, who has his own storyline, motivations and agency that both depends upon a battle with Superman and doesn’t. While I was happy to see Clark Kent be something a little different in MoS as a drifter who always feels out of place instead of the clumsy oaf that most think of, here they have stripped Clark’s personality altogether. Even if you don’t want the faux dufus as your Clark Kent, at least that Clark is charming. Cavill’s Clark is just impossibly handsome and boring. His Superman, is impossibly handsome and boring with heat vision. 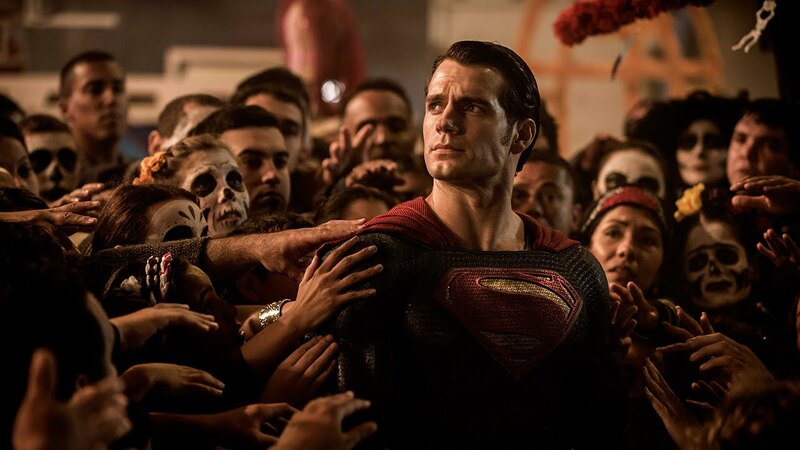 I know some want their Superman as a blank slate that we can project our best values on to, but in a landscape with so many superheroes, anti-heroes and villains with distinct personalities, having the most popular one at your disposal and NOT having a personality just isn’t the way to go. I know plenty of people are dying to see Diana Prince aka Wonder Woman do work in this film, and honestly, she doesn’t disappoint. 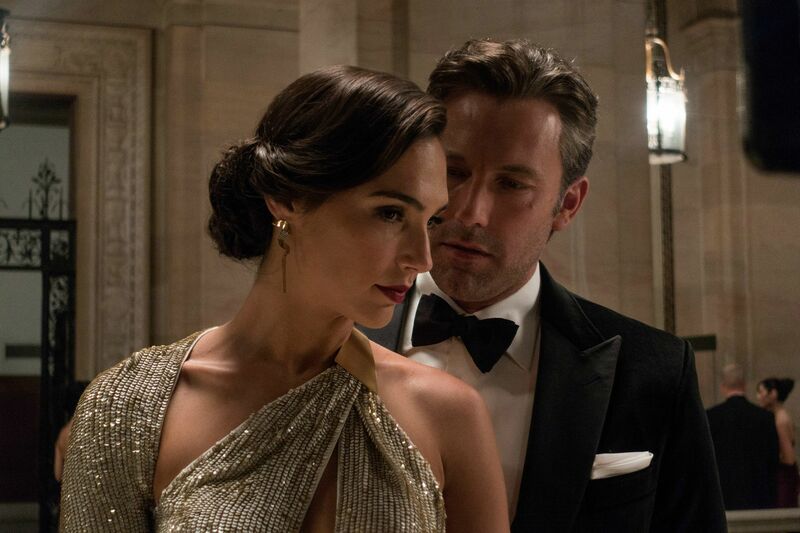 You don’t really get enough of her as Diana to bank if Gal Gadot will do well in a film centered on her, but some (not all) of the choices they made for her I felt at home with. Giving Diana an accent was a nice and surprising touch, mostly in the thought of why we haven’t seen that before. But about 30 percent of her screen time be devoted to her looking at encrypted files could’ve been done better. But you came to see Wonder Woman fight and that mostly succeeds. Her action sequences are a somewhat satisfying pay off if you’ve been dying to see her in action, even if the battle she is part of is dumb. Like, really, really dumb. 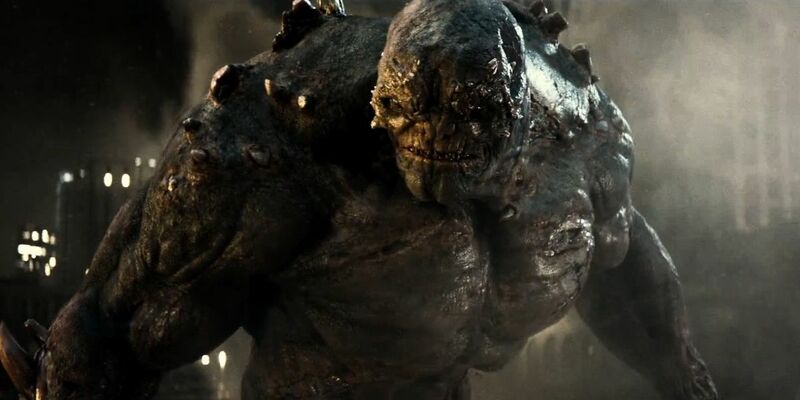 I’m not gonna spend an inordinate amount of time of the Doomsday fight, except how it was all born from some pretty bad plot movements and sometimes cringe-worthy CGI spectacle in the third act is just fruit of the poison tree. The biggest disappointment in a movie that had no shortage of shake your head moments? Jesse Eisenberg’s Lex Luthor. I really don’t know what percentage of blame goes to the actor, writer or director but it becomes just silly and distracting, all the way up to his last scenes in the film. The appeal of Lex Luthor and what separates him from other villains is that not only is he brilliant, but he is so arrogant that his self assuredness takes him farther than madness would. Luthor isn’t crazy, he’s just convinced he knows the world and how to shape it like no one else can, and therefore he absolves himself of all the terrible things he does to ensure that. Eisenberg’s Luthor is manic, impulsive and fanatical. If Snyder wanted to put the Joker in his film, he should’ve put the Joker in his film. The distance between this Luthor and Leto’s Joker in the Suicide Squad trailer is basically separated by bleached skin, tattoos and knives. But the personas are way too familiar. Dawn of Justice is an ambitious movie and one that does some interesting things sometimes. But it’s also a pretty hollow movie that wants to be more than just a superhero movie and showcase its characters because they are the most popular comic book characters of all time. But there are so many things that just simply don’t work in this film, whether it’s the pacing and tracking the protagonists motivations, the carryover of Lois Lane’s ability to be adjacent to every major scene no matter how geographically far way they are from one another or the self-aware announcing of how vacant a city is before they destroy it. The Wonder Woman movie, whether you believe in Gal Gadot or not, instantly became of interest to me because it will finally bring a film that exists in this universe with a different creative team behind it. And because… the golden lasso was dope. So on point as usual Will, basically agree with everything you said here.